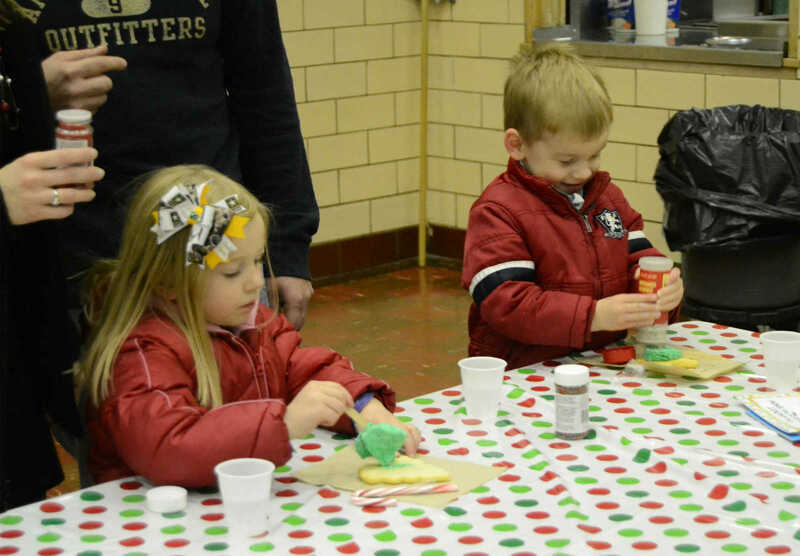 Emma and Connor Keith decorate cookies at the Bryan elementary Santa's workshop Thursday. 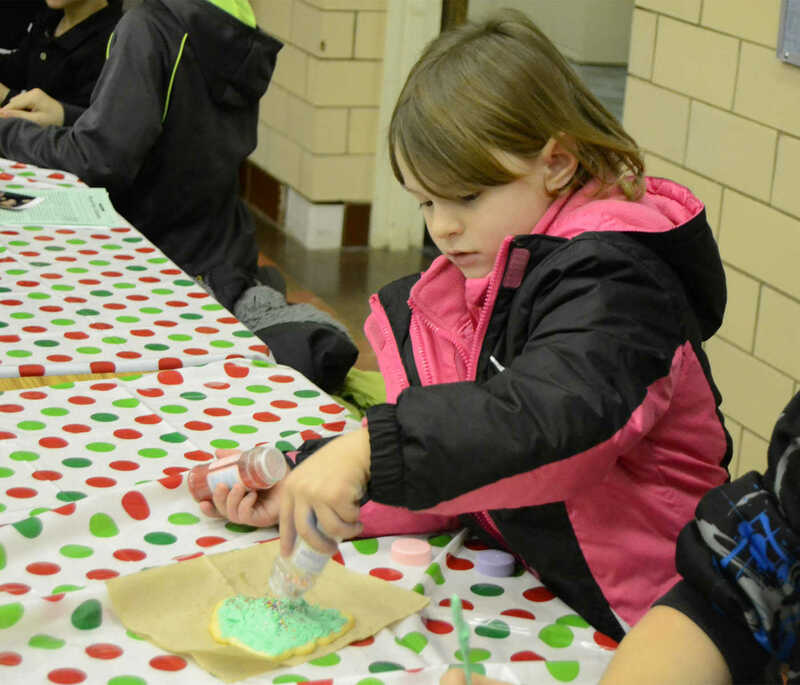 Faith Collins decorates a cookie at the Bryan elementary Santa's workshop Thursday. 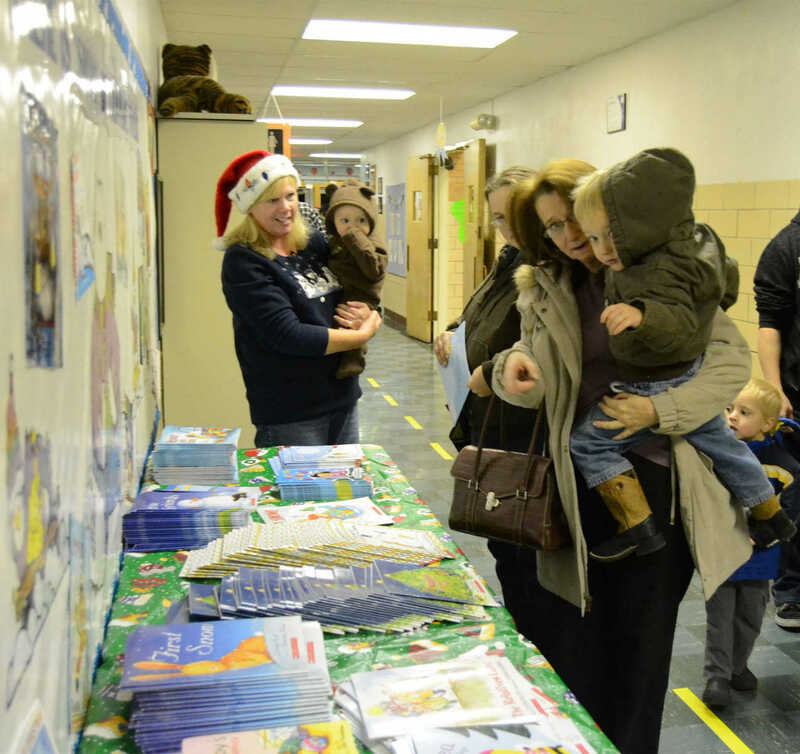 Sue Smith points out books to Cole Fleener at the Bryan Santa's workshop on Thursday. Each child received one free book. 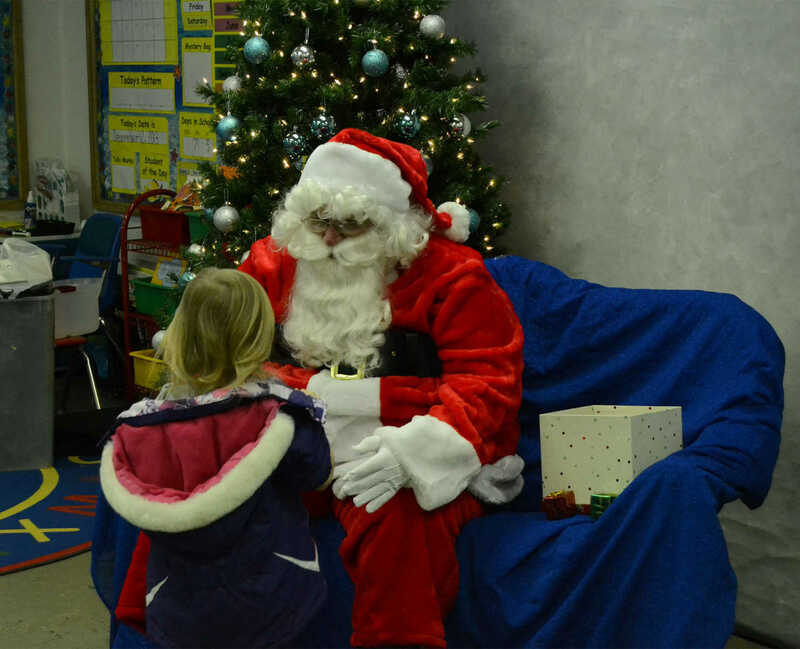 Makayla Garren meets Santa at the Bryan elementary Santa's workshop Thursday. 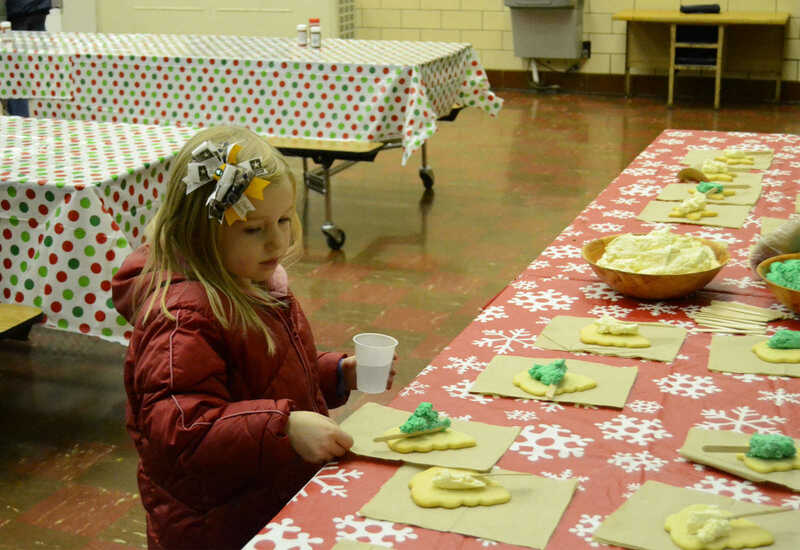 Emma Keith picks out a cookie to decorate at the Bryan elementary Santa's workshop Thursday.